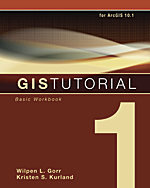 More enhanced than ever, GIS Tutorial 1: Basic Workbook is compatible with and now includes online access to ArcGIS 10.1 for Desktop Advanced software (180-day use) in its fifth release. As the first book in the Esri Press GIS Tutorial series, it provides a foundation to teach and study basic GIS tools and analysis functions, such as how to query interactive maps, collect data, and run geoprocessing tools. A data DVD for working through the exercises is included. In addition, the exercises, as well as the "Your Turn" sections and homework assignments, can be adapted to learning GIS in a classroom setting. Instructor resources are available by request. May 2013. ISBN: 978-1-58948-335-4, 440 pp., US$79.95. Learn how and why an integrated emergency management common operating platform implemented with a GIS can help save lives and mitigate loss during crises and disasters with the book Enabling Comprehensive Situational Awareness. 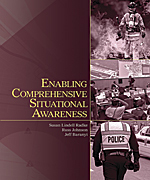 Written for emergency managers and public safety personnel, the book describes how to use the platform to analyze extensive spatial data collections and field-level data and how to coordinate efforts across agencies and jurisdictions to develop collaborative mitigation and recovery plans. June 2013. ISBN: 978-1-58948-306-4, 204 pp., US$18.95. 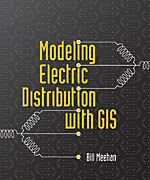 Modeling Electric Distribution with GIS shows why a successful implementation of an enterprise GIS in the electric distribution industry requires a sound and thorough data model. The book provides an overview of the engineering and business aspects of the electric distribution system in detail and demonstrates how building a GIS can add value throughout the enterprise. This book is beneficial for GIS managers, business executives, and information technology managers. July 2013. ISBN: 978-1-58948-241-8, 318 pp., US$42.95. For more information and to order Esri Press books, visit esri.com/esripress.